Honda's Unicorn is an interesting motorcycle. 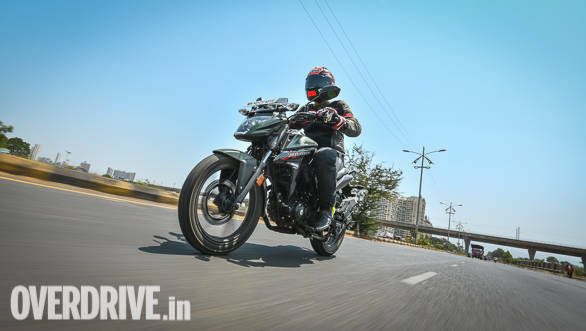 It's had a rather up and down career as HMSI has chased down a foothold in the 150cc motorcycle space that was created by and is currently dominated by the Bajaj Pulsar. 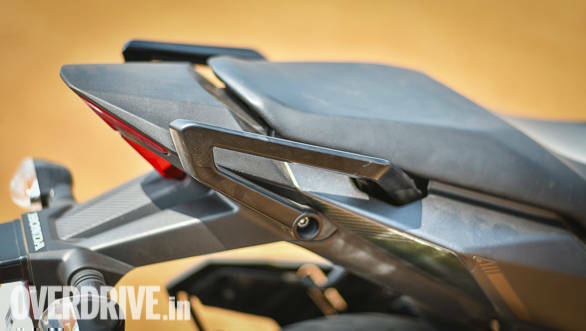 And now, the base Pulsar is increasingly looking like it will be a 180cc motorcycle. 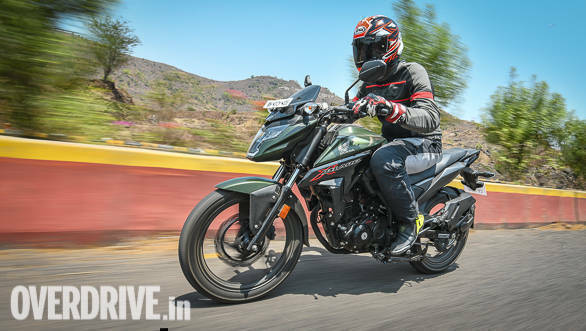 But displacement creep is not new in the segment with everyone from Yamaha with the very first FZ16 and new its version 2.0 and derivative, to the Suzuki Gixxer have increased their displacement in the search for an advantage that brings them sales. Honda not only created the excellent 162.71cc single-cylinder platform from the first Unicorn's, they used it to create the aggressive looking Hornet which is now growing steadily in sales. 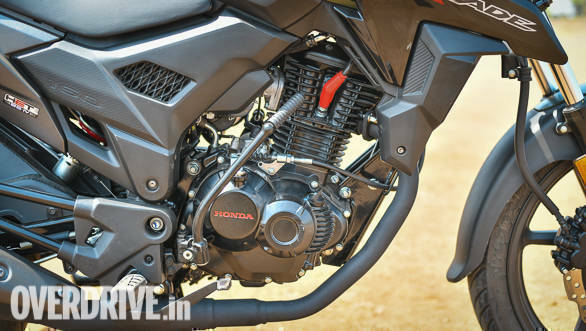 But at the Auto Expo, Honda revealed a completely new 150cc class brand name in the X-Blade. Which, wait for it, is also based on the 162.71cc engine! And today, we got to ride it. The base engine in the X-Blade is the same as the Unicorn. That's 14.13PS at 8,500rpm and 13.9Nm at 6,000rpm. There are almost identical to the Unicorn in both the output and the engine speed at which these outputs peak. Almost? Yes, Honda told us that while the basic frame and engine spec is very, very close to the Unicorn by design, the company felt the need to return the engine - primarily in terms of the air-fuel mix and ignition timing - to give the X-Blade enough extra performance to offset any extra weight. The Honda Hornet, of course, is a more powerful state of tune. The Hornet 160 makes 15.1PS and 14.5Nm from the same engine, keeping compression the same but using tuning to increase the performance. What Honda seems to be up to is the idea that there are customers who prefer the Hornet's styling but the Unicorn's milder demeanor. And they're the target for the X-Blade. Hence the tagline, "One look is enough." The product communication also talks about the design as the central part of the new product. My quick ride through the city revealed a pleasant commuting motorcycle - no surprise there. 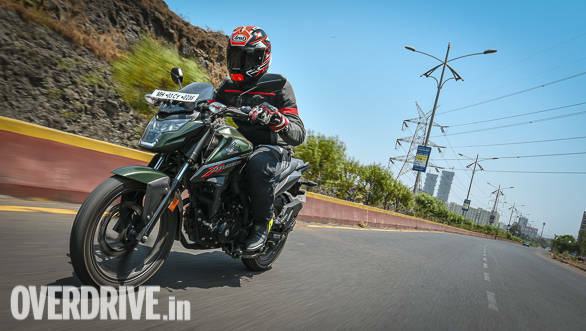 The engine is quiet and refined, torque delivery is smooth and it doesn't take the X-Blade to get to around 80-90kmph. Our motorcycle was brand-new so the gear changes did feel a little tight but we know this gearbox becomes a sweet, slick one in time. Only at the red line does the engine sound anything close to stressed and even then, vibration is present but controlled. Like all the monoshock 160cc-class Hondas, the X-Blade initially feels a little stiff in ride quality terms. That's the suspension and not the seat, becomes obvious very quickly indeed. But after a moment or two, you realise that the Honda maintains a fairly right control over its chassis and actually absorbs a lot more than you think. I can think of motorcycles with better overall ride quality perhaps but for most people, I think the X-Blade will be comfortable enough. Handling, again as expected, is neutral. The handlebar felt narrow and it felt easy to tuck into small gaps in traffic. In the few fast corners I got, the X-Blade reminded me strongly of why we like the Hornet in the corners so much. It's fast and trustworthy and at street speeds, that's about all you need from a motorcycle like this. The X-Blade gets all-digital instruments that look good and despite looking densely packed at first glance, they are easy to read. Across the top is a tacho, there is a gear indicator as well as a speedo and on the right side, a clock, two trips and an odometer and the fuel gauge. The all-digital instruments look densely packed but are readable. Especially the middle panel with the huge gear indicator and speedometer. The fuel gauge, tripmeters, clock feel a little compressed to the right. Tacho is more readable than you'd expect also. The LCD design also means that neutral shows as a glowing green light and the gear indicator goes blank when you select neutral. This is an arresting 160 to be sure. From the "Robo-Face" LED headlight to the T-shaped tail light, the X-Blade looks tightly sculpted and very together despite being such a busy design. Perhaps the matte green colour of our test bike hid some of the busy-ness, it must be said. Despite not being exception in size, people take note of the X-Blade and I think that's job done well. At the same time, Honda has carefully kept the practicality quotient high. 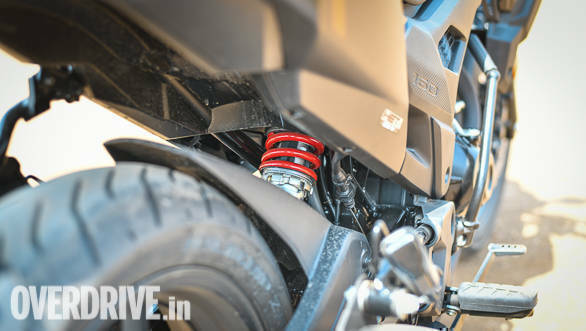 The seat is a mildly stepped unit, the pegs are not too sporty at all and the motorcycle feels easy and slick to live with. 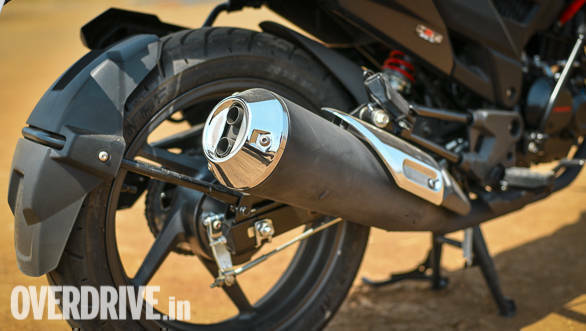 The Honda X-Blade is an interesting proposition in the commuter 160cc class. It blends the aggression of the design of the Hornet with most of the practicality and midler manners of the Unicorn. It's a sporty looking motorcycle for people who like the look, but under the skin is a smooth, sweet, civil commuter that doesn't challenge you with any actual sportiness - whether in handling or in ergonomics or in practicality challenges. And it's genuinely fresh looking too. Note the riding position. It's almost exactly the same as the Unicorn except for a slightly narrower handlebar. Honda has priced the X-Blade at Rs 78,500 (ex-showroom Delhi). 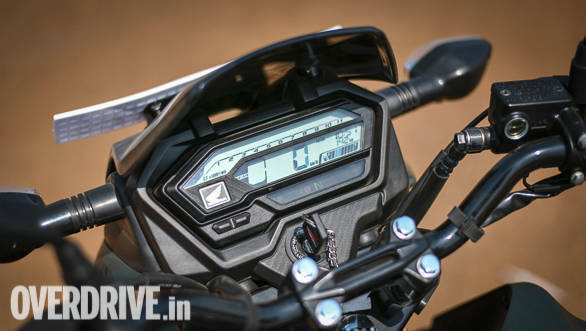 That makes it roughly Rs 5,000 more than the Unicorn 160 and Rs 6,000 less than the Hornet - comparing the basic variants across all three bikes. 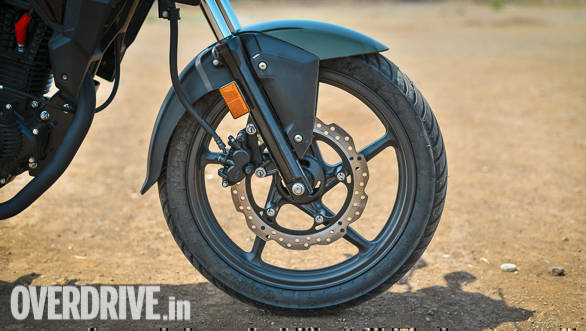 To be clear, the Unicorn comes with normal brakes as well as combined braking as a trim variant, while the Hornet gets standard, CBS as well as ABS models. At this time, the X-Blade does not have a CBS model and we expect it to move in one clean step into the ABS era come April next year. 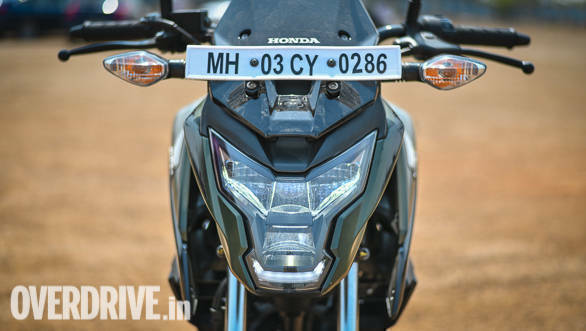 Do note that since Honda showed the bike and announced the prices before the Auto Expo, it doesn't have ABS even as an option - existing models will get ABS as a rule only post April 1, 2019.